HyoJoo Han is an associate professor of the Department of Information Systems at Georgia Southern University. She has taught both graduate and undergraduate courses in database management, management information systems, decision support systems, project management, IT strategy and enterprise resource planning, business applications at Georgia Southern University since 2003. 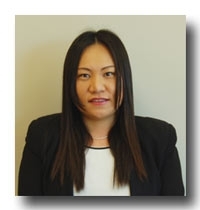 Han’s research interests are in applying methods and theories, in particular the integration of technology usages in organization including virtual team, human computer interactions, e-commerce, consumer behavior, mobile computing, and decision support systems. She has been published in different domains including business, technology, and education in such journals as Information and Management, IEEE Transactions on Professional Communication, and Journal of Information Systems Education.